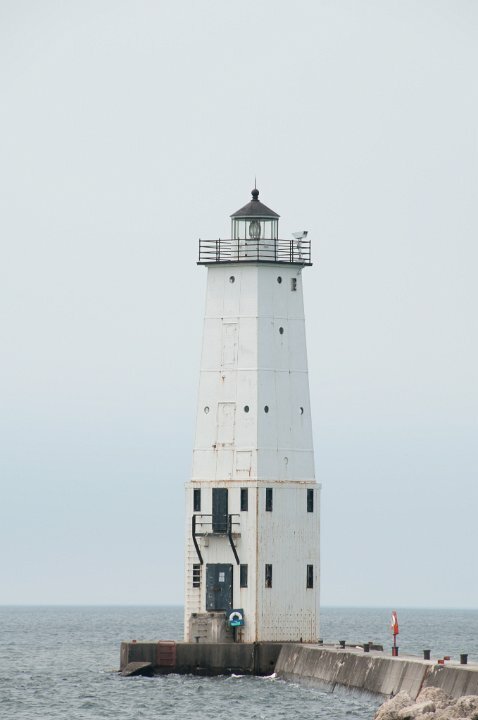 The Frankfort Light is a lighthouse in Frankfort, Michigan. 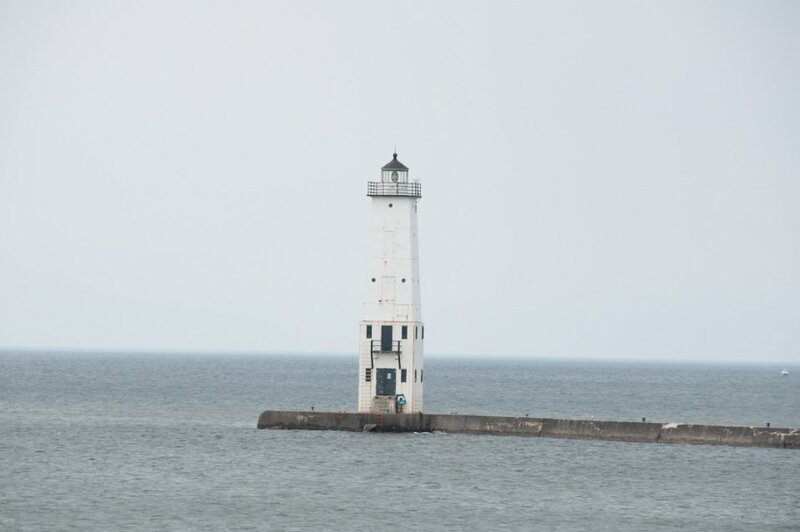 The original Frankfort North Breakwater lighthouse was built in 1873 at the end of a long wooden pier with an elevated catwalk which led to the shore. In 1932, the current lighthouse was situated at the end of what is now the northern concrete pier at the end of Main Street at the entrance to the harbor of Frankfort. The original pyramid style lighthouse was increased in size by placing it on top of a new two-story addition which is approximately twenty-five feet in height. The cast iron lantern room, surrounded by a gallery, originally contained a fifth order Fresnel lens that was upgraded to a fourth order Fresnel lens. The Frankfort Light is a lighthouse in Frankfort, Michigan. 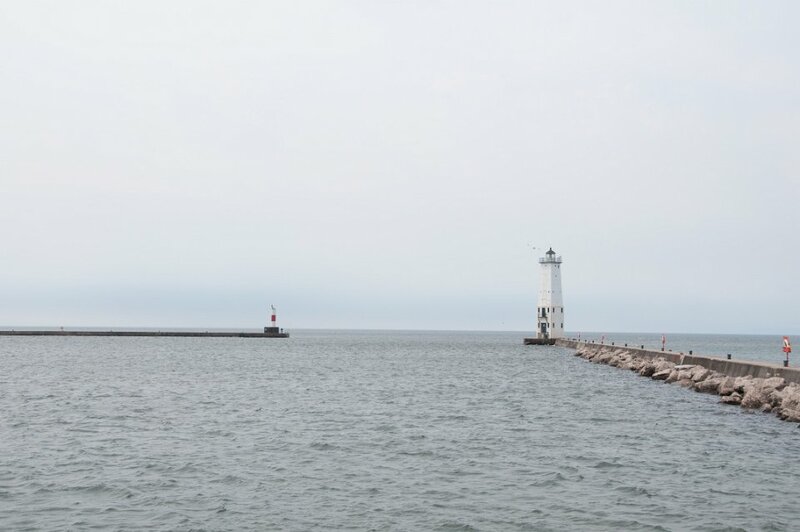 The original Frankfort North Breakwater lighthouse was built in 1873 at the end of a long wooden pier with an elevated catwalk which led to the shore. 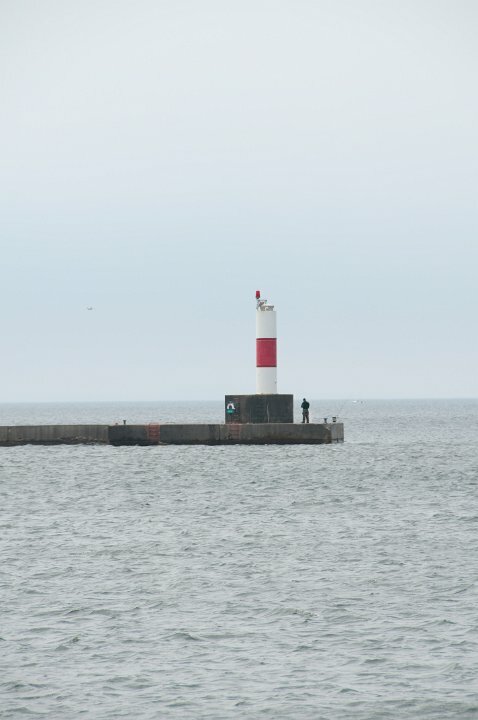 In 1932, the current lighthouse was situated at the end of what is now the northern concrete pier at the end of Main Street at the entrance to the harbor of Frankfort. The original pyramid style lighthouse was increased in size by placing it on top of a new two-story addition which is approximately twenty-five feet in height. The cast iron lantern room, surrounded by a gallery, originally contained a fifth order Fresnel lens that was upgraded to a fourth order Fresnel lens.